What Does Medication Adherence Research Tell Us About Patients? Medication adherence has been the subject of extensive research, and justifiably so. Determining the causes of non-adherence and how to effectively improve adherence can help reduce the significant number of preventable deaths, hospitalizations, and treatment failures associated with non-adherence. 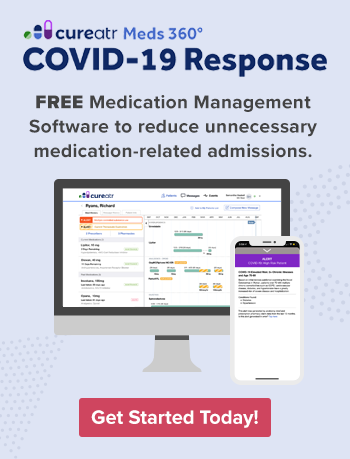 The body of medication adherence research provides tremendous insight about the reasons why patients fail to adhere to medications and solutions organizations, providers, patients, and caregivers should consider to increase adherence. Here we identify several research articles on medication adherence and share 10 key lessons learned about patients from these analyses and studies. "Medication Adherence: WHO Cares?" (Mayo Clinic Proceedings) — This 2011 article details a MEDLINE-based literature search focused on adherence and chronic illness, specifically cardiovascular disease. Approximately 50% of patients with chronic illness do not take medications as prescribed, leading to increased morbidity and death as well as costs of approximately $100 billion in costs annually. Researchers note, "Not only do physicians often fail to recognize medication non-adherence in their patients, they may also contribute to it by prescribing complex drug regimens, failing to explain the benefits and adverse effects of a medication effectively, and inadequately considering the financial burden to the patient." When patients are empowered, they are often more motivated to better manage their disease, which includes adhering to a medication regimen. Medication Adherence: Its Importance in Cardiovascular Outcomes (Circulation) — This 2009 article, which also has a particular focus on cardiovascular disease and outcomes, aimed to take a deep dive into ways of measuring and improving medication adherence. Non-adherence can be intentional or unintentional, researchers note. They define intentional non-adherence as "an active process whereby the patient chooses to deviate from the treatment regimen" and unintentional non-adherence as a "passive process in which the patient may be careless or forgetful about adhering to the treatment regimen." Researchers noted that it is common for patients to "improve their medication-taking behavior shortly before and after an appointment with a health care provider." This is termed "white-coat adherence," and is important for providers to be aware of when assessing adherence. Understanding and Overcoming Barriers to Medication Adherence: A Review of Research Priorities (Journal of Managed Care & Specialty Pharmacy) — This 2014 article supplements existing literature on medication adherence with stakeholder interviews and what the researchers describe as "expert" panel meetings. The researchers' goal: "… to improve our understanding about how to identify patients at greatest risk of non-adherence and target them with personalized, effective interventions medication adherence." Researchers point out that common factors associated with patient non-adherence include disease status and severity, comorbidities, and demographics, and that these traits often receive significant attention. However, researchers also note that patients differ in less discernible traits. These include beliefs about therapy effectiveness, preferences for health care, and abilities to understand and remember how to properly take their medications. The use of technologies, such as special pill bottles and smartphone apps, that remind patients about their medications have been shown to enhance adherence but may not work for all patients. Researchers note, "… a survey of patients who discontinued medications for chronic disease indicated forgetfulness as less of a barrier than cost, side effects, other medication concerns, and a belief that therapy was unnecessary. 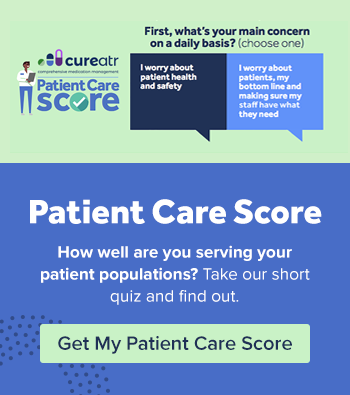 This highlights the importance of identifying which patients … are most likely to respond to particular interventions so that resources can be appropriately allocated." Improving medication adherence is an important objective for any organization. But research indicates that for some patients, adherence may need to reach a certain threshold to support improved outcomes. Researchers point to one study that showed only heart attack patients attaining proportion of days covered (PDC) — the proportion of days in the eligibility period "covered" by prescription claims for the same medication or another in its therapeutic category — greater than 80% were less likely to experience a vascular event compared with controls. They note, "While partially adherent patients (with PDC < 80%) in the intervention group had higher average adherence than controls, they did not experience improved clinical outcomes." CDC Grand Rounds: Improving Medication Adherence for Chronic Disease Management — Innovations and Opportunities (Morbidity and Mortality Weekly Report (MMWR)) — This 2017 article was published in MMWR, described as the Centers for Disease Control and Prevention's (CDC) "… primary vehicle for scientific publication of timely, reliable, authoritative, accurate, objective, and useful public health information and recommendations." Researchers note, "A proven cost-effective strategy to reducing unintentional non-adherence is the use of pillboxes and blister packs to organize medication regimens in clear and simple ways. Combining the ease of packaging with effective behavioral prompts, such as electronic pill monitors that can remind patients to take their medication and provide messages to health care providers when a scheduled drug-dose is missed, supports increased medication adherence." Researchers also reference the value of leveraging health information technology. Efforts to boost patient adherence can be stifled unless providers take communication and education, and factors that impact them, into careful consideration. Researchers note, "Interventions to improve medication adherence could be more effective if patient's health literacy, cultural background, and language preference and proficiency are taken into account when designing communication and patient education materials."